There aren’t enough books out there with disabled characters. Ruth Madison is here to change that. 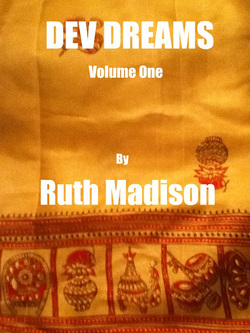 She is a devotee writing stories for devotees: romances with disabled characters who are appealing, strong, and attractive. In 1999 Ruth Madison opened a copy of New Mobility magazine and found out that the secret she had been carrying with her since she was a child had a name. Devoteeism. 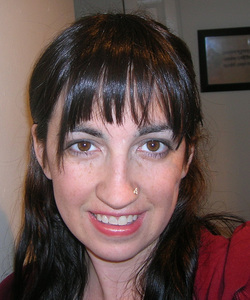 Ever since then she has been writing stories for others like herself and also in the hopes that more realistic disability in fiction will lead to a normalization in society. Ruth plans for a day when there is not a huge divide between disabled and not-disabled, when people who have disabilities are expected to be wives, husbands, mothers, fathers, and to hold jobs and lead normal lives. Doing those things when you’re a person who has a disability should not be a surprise to anyone! Stewart was a pro surfer before a failed rescue attempt left him paralyzed from the waist down. He came to Massachusetts to leave behind his past. When they meet, Elizabeth and Stewart begin a relationship based on secrets. Inevitably the truth is uncovered and they both must learn how to accept the broken parts in themselves and each other. 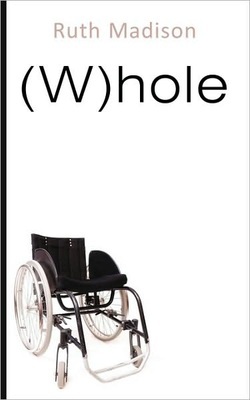 A collection of short stories featuring physically disabled heroes. On Saturday Afternoon: A painfully shy young woman must choose between a socially acceptable man and the one who makes her feel cherished. Mariann, Dancing Alone: A dancer married to a paraplegic actor runs from the question why did she marry him. Home Country: When Priyanka travels to America for an arranged marriage, she finds out why her groom accepted her bad horoscope and poor family. The Happiness Pact: A clutsy geek sets out to befriend the boy she loves even as he is forced to reevaluate his place in the social strata of high school. Guru’s Grace: A dev gets an unexpected blessing from the guru. Talia should never have been able to see Trent, he was traveling between parallel universes and observing ours, but he should have been invisible. No one can understand why Talia could see him. Their fascination with this impossible connection leads them to start to learn about each other's worlds and eventually to fall in love. Trent's brother Reece is also in love, with Faith, a woman of another race, which is a very dangerous relationship in their world. As Trent and Reece's universe falls apart, the four friends embark on an insane quest to find a way to be with the people they love. A sequel to (W)hole, Elizabeth's journey continues as she goes to college and learns to negotiate life as an out-of-the closet dev. Her family is not supportive and the tension between she and her mother mounts to the breaking point.